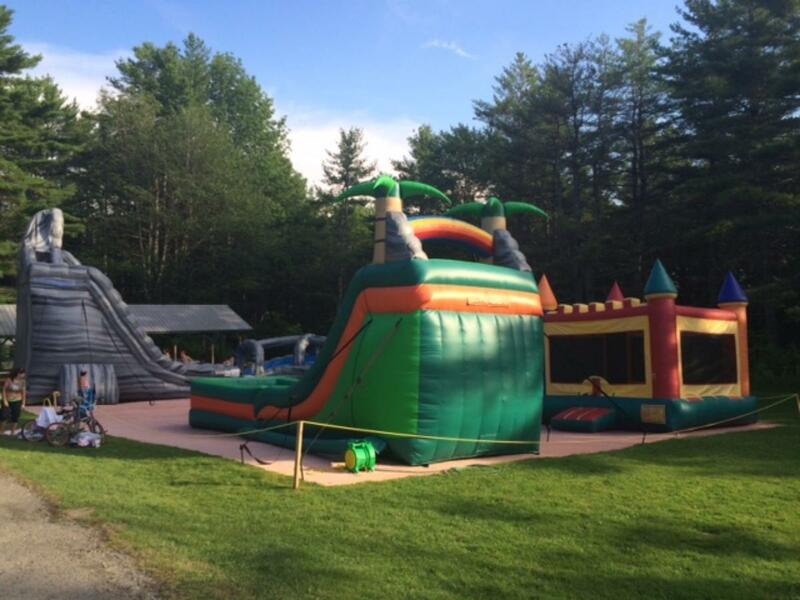 With a full activity schedule during the summer and weekend activities in the spring and fall, our campground is an ideal place to bring the entire family any time of the year. 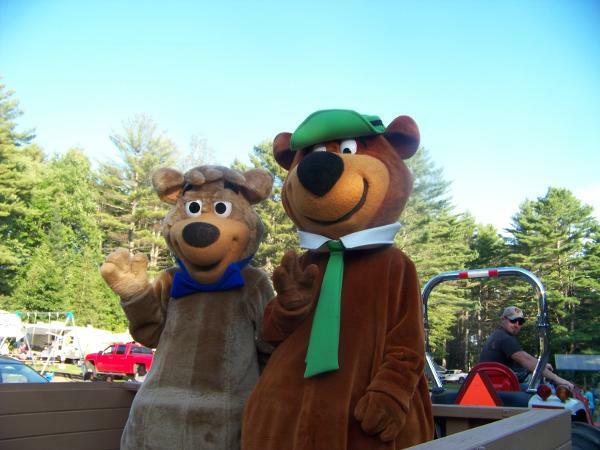 Included in your stay here:Wagon rides with Yogi Bear and friends, access to our super large swimming pool, use of the Downpour Derby, crafts, games, scavenger hunts, catch-and-release fishing, pictures with Yogi Bear, Gaga ball, R/C Track, basketball hoops, horseshoes, sand volleyball/badminton, bonfire with Yogi Bear, dances, movie nights/cartoon mornings, (available in the Recreation Hall we have board games, puzzles and books to borrow). 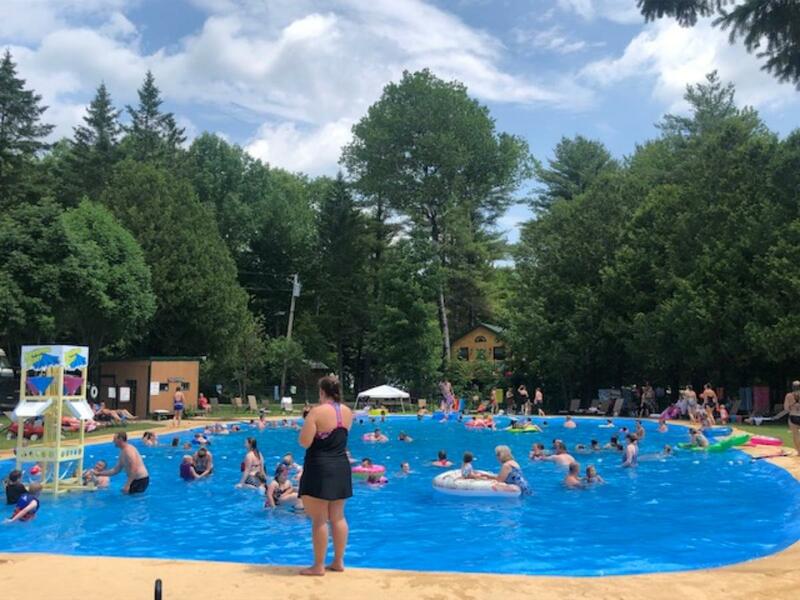 Extra: Bouncy Bear Zone, Ceramics, Colortime, Gem Mining, Golf Cart Rentals, Arcade, Birthday Party Packages and Tuck-ins & Wake-ups with Yogi Bear and Boo Boo. 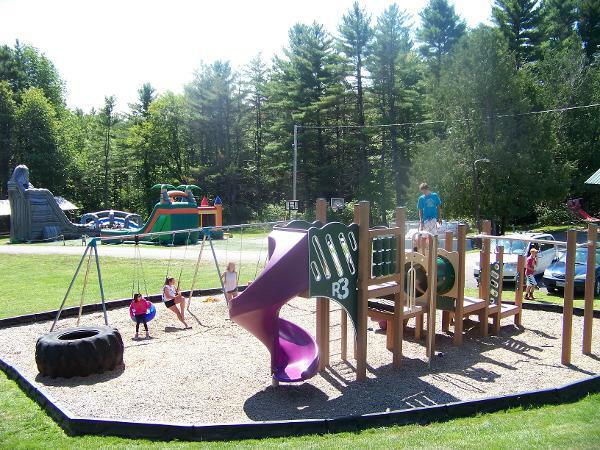 For your convenience, we have:24-hour laundry facility, clean restrooms, free hot showers, sewer dumping station, Wi-Fi, dishwashing stations, pavilion to rent for groups up to 50, bundled firewood, bags of ice, fishing bait, propane filling station, 24-hour online reservations and a stocked camp store – complete with Yogi Bear souvenirs.